Launching a ground up new building for a top ten School of Law means creating new possibilities. Bringing the law school and clinics under one new roof after more than 100 years built enthusiasm for education and collaboration. 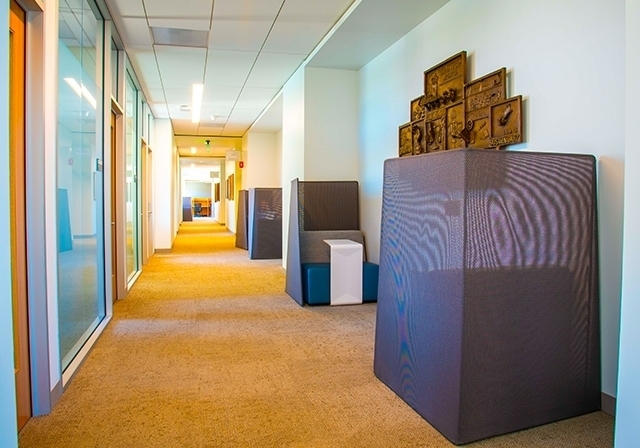 We're proud to have been a furniture design partner for this project. Study is the primary purpose. 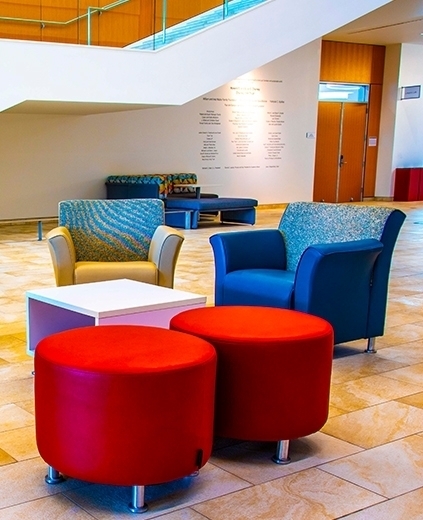 Students work in the library, hallways and breakout spaces, lobbies, conference, clinic and interview rooms and yes, in classrooms and lecture halls. 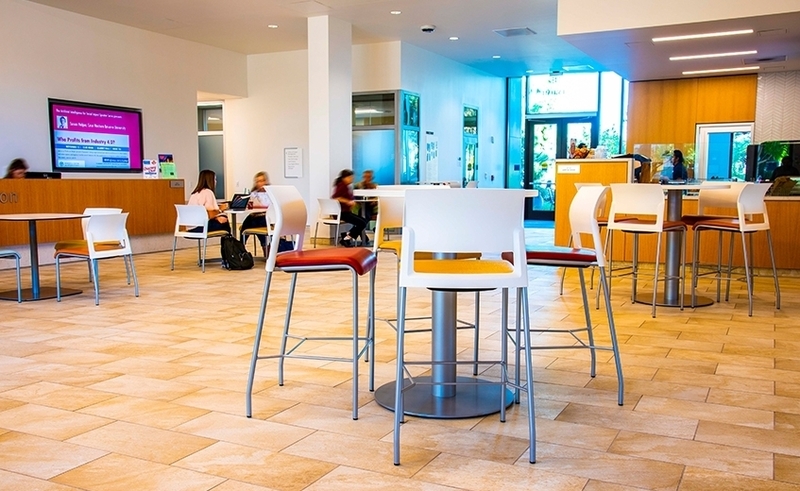 Charney Hall offers SCU Law greater visibility internally and externally. The Dean's Suite exemplifies the tone of the program. 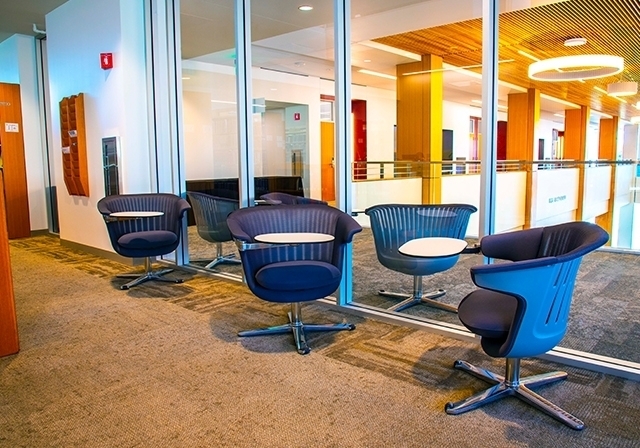 Open and inviting, its conference room overlooks campus, and outside terrace offers casual meeting/studying space for professors and students alike. Always open and always active. Libraries are sacred spaces, full of potential. 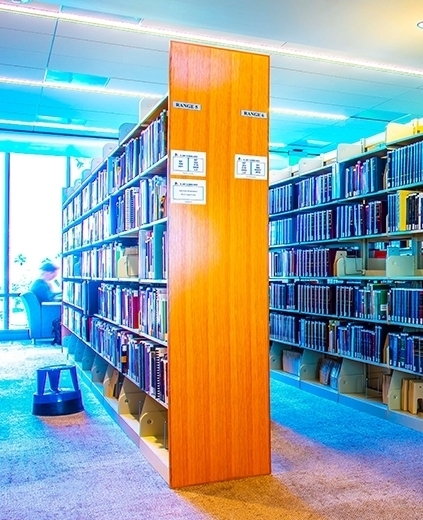 From the study carrels and individual seating, across the stacks to window work areas, the future of the law has a place to grow. 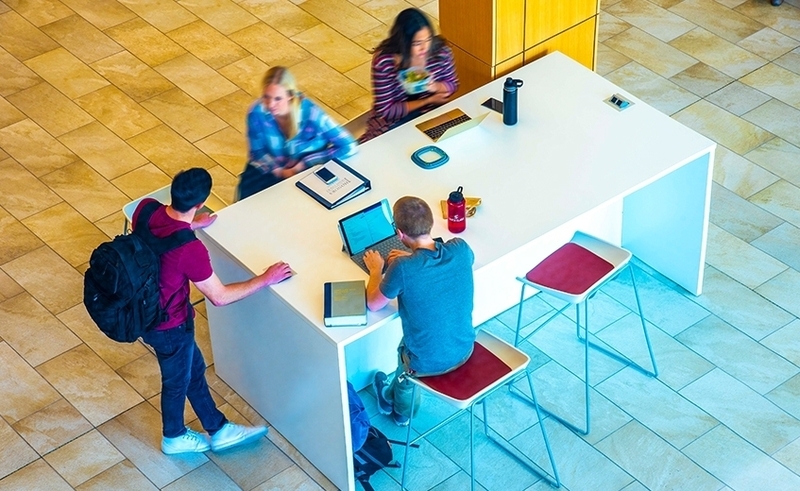 While emerging technologies driving communications, collaboration and research are comfortably housed in the new space, old school student learning styles also have their place in library, lobbies and cafe.